RIO DE JANEIRO, Jul 27 2016 (IPS) - The biggest frustration at the Olympic Games, to be inaugurated in the Brazilian city of Rio de Janeiro on August 5, is the failure to meet environmental sanitation targets and promises in the city’s beaches, rivers, lakes and lagoons. The opportunity to give a decisive push to the clean up of Rio’s emblematic Guanabara bay and its lagoons has been lost. 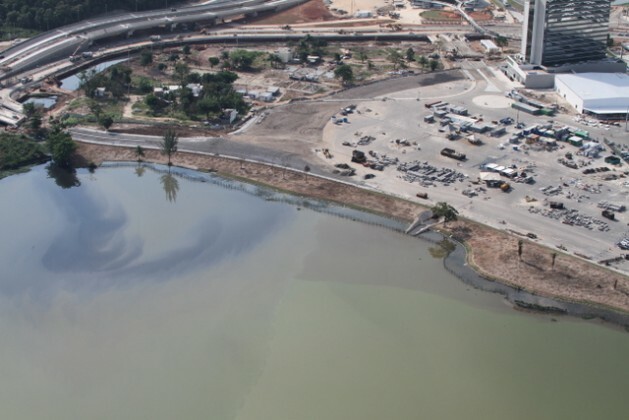 The drive against waterborne pollution was part of the proposal which won the city the right to host the 2016 Summer Olympics. Most of the foreign Olympic athletes and spectators from abroad will arrive in Rio at Antonio Carlos Jobim international airport, also known as Galeão. Planes touch down here on the edge of one of the most polluted parts of Guanabara bay, although visitors may not realise it. Fundão canal can be glimpsed from the southbound highway towards the city centre. It is full of raw sewage and bad smells in spite of recent dredging, because it is still connected to the polluted Cunha canal. Five rivers converge in the Cunha canal after crossing densely populated areas including several “favelas” (shanty towns) and industrial zones. North of Galeao airport, the fishing village of Tubiacanga illustrates the ecological disaster in Guanabara bay, which has a surface area of 412 square kilometres and stretches from Copacabana beach in the west to Itaipu (Niterói) in the east. At the narrowest point in the channel between Ilha do Governador and the adjacent mainland city of Duque de Caxias, “there used to be a depth of seven or eight metres; but now at low tide you can walk along with the water only chest-high,” 66-year-old Souza, who has lived in Tubiacanga for two-thirds of his life, told IPS. Landfills, silting by rivers and rubbish tipping have all reduced the depth of the bay, he said. “Tubiacanga is at a meeting point of dirty water from tides rising at the bay entrance, from several canals including Fundão, and from rivers. 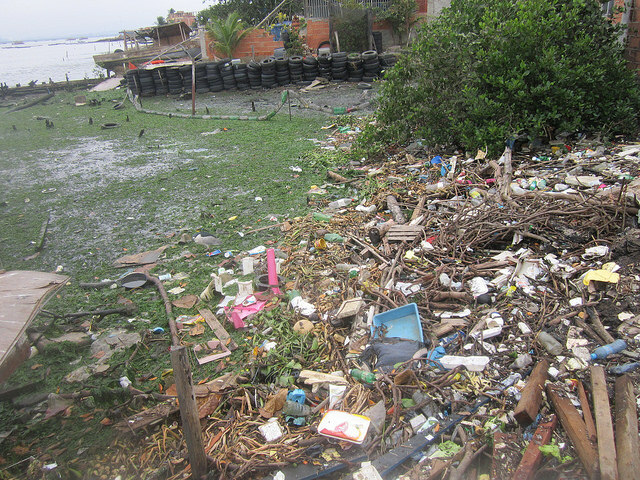 Sediments and rubbish pile up in front of our village,” where the white sandy beach has become a quagmire and rubbish dump over the past few decades, Souza complained. “I only believe in what I see: out of the 55 rivers in the basin, 49 have become lifeless sewers,” said Moscatelli, voicing the scepticism of environmentalists. Cleaning up Guanabara bay is a longstanding ambition. It was the goal of a project begun in 1995 that has already cost the equivalent of three billion dollars at the current exchange rate, but that has not prevented environmental deterioration of local beaches and water resources. Eight wastewater treatment stations were built or expanded to improve water quality. However, they have always operated well below capacity, because the main drains needed to collect wastewater and deliver it to the treatment stations have never been built, according to Lima. Pollution of the bay is exacerbated by oil spills. There is a refinery and petrochemical hub on the banks of the lagoon in Duque de Caxias; in addition, all along the Tubiacanga waterfront the bay is increasingly crisscrossed by pipes carrying crude oil, refinery subproducts and natural gas. The effects of a large oil spill in January 2000 are still felt today. It had a direct impact on Tubiacanga and on the fish catch. 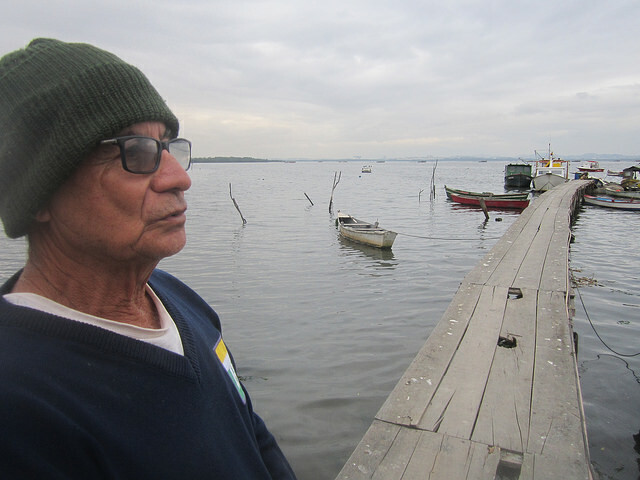 “We fisherfolk are the ones who suffer most from the consequences of pollution, and who best know the bay; but we are not listened to, we are penned in and threatened with extinction,” said Souza dos Santos, who is encouraging his four sons to take up trades other than fishing. All things being what they are, perhaps it’s best if Russian athletes don’t participate in the games. At least that way, they won’t return home with who knows what disease/ailment. After all, isn’t Brazil where the ZIKA bug originated from. Probably another one of those blights that one of those 3 letter groups come up with to screw with humanity.